America’s Got Talent (AGT) is on its Finale and the heat is on for the Top 10 Finalists. The judges, Simon Cowell, Mel B, Howie Mandel, and Heidi Klum would surely have a tough time deciding who deserves to win if there would be a tie in the public votes. Of course, the public vote would be the decisive factor in ultimately awarding the AGT Winner. Based on previous votes and on performances of the 2018 America’s Got Talent top 10 finalists, here’s a list of the predicted Top 5 AGT finalists. Michael Ketterer has that powerful and heartwarming voice to win the America’s Got Talent. He was a Golden Buzzer recipient during audition, and according to Simon Cowell, he’s a great person and singer – in and out. 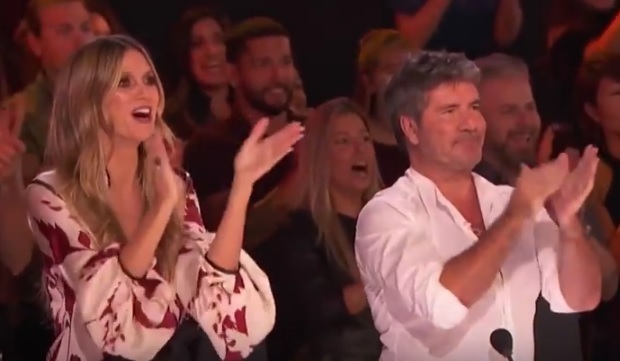 It can be remembered that it was Ketterer who made Simon Cowell cry and become emotional after his performance before the AGT Judges. Michael Ketterer stated on an Access interview that every performance is dedicated to his family. These are the predicted winners of the America’s Got Talent competition on September 19, 2018. If your favorite act is not in the list, you may want to get ready and show support to him/her by voting, once the online poll is opened on AGT Results Night. READ the actual 2018 AGT winners here. Micheal Ketterer might be a nice guy and a family man…but I’ve been going through Courtney Hadwin’s pre-2018 material and was stunned to view Courteny Hadwin’s version of Elvis Presley’s Can’t Help Falling in Love…I traversed the few moments of “sound” that were suggestive of an effort to imitate, perhaps, but was captivated by the fact this young girl (who was what12 years old at the time?) had the chops to sing this song and soulfully bring to life the charisma that was Elvis Presley while being transparent and brilliant – in other words the Courtney Hadwin that has stolen the stage for weeks from the other hopefuls. Those who sought to suggest there was an ounce of guile in “being shy” must have had hearts of stone when the “golden buzzer” sent a young girl flying across the stage into the arms of her father in a way that was uncontrived. Who are the judges responsible to when a young woman with this much talent negotiates the entertainment world through the portal called AGT? If Courtney Hadwin doesn’t win – it might suggest Courtney Hadwin is bigger news than AGT knows how to deal with? On that account, we agree with you. Courtney Hadwin is a dark horse. Who knows? we might be wrong in our prediction and she would actually win. Good luck. I still say Grace or Vicki. All of them are talented.